There is conflicting data about exactly how many foster youth are impacted by this problem, but estimates run as high as up to 50 percent of foster youth have been affected by identity theft such that by the age of 18, many of them are starting their adult lives with their credit already destroyed. This is an enormous problem when you consider that almost half a million children were in foster care as of 2015, according to the U.S. Department of Health and Human Services. TriplePundit spoke with Ty Shay, SVP and CMO of Norton & LifeLock, and Symantec’s Consumer Business Unit to find out why foster youth are at greater risk of identity theft, and to learn how the company’s Fostering a Secure Tomorrow (FAST) program is helping to protect this vulnerable group. Why are foster youth so vulnerable to identity theft? First, what makes foster youth particularly vulnerable is that they lack consistency and stability in their lives. Unlike kids brought up by one or more parent or guardian, foster youth don’t have anyone consistently looking out for them throughout their childhoods. This typically forces them to move from place to place frequently within the system of care, which inherently gives many people access to their personal information. 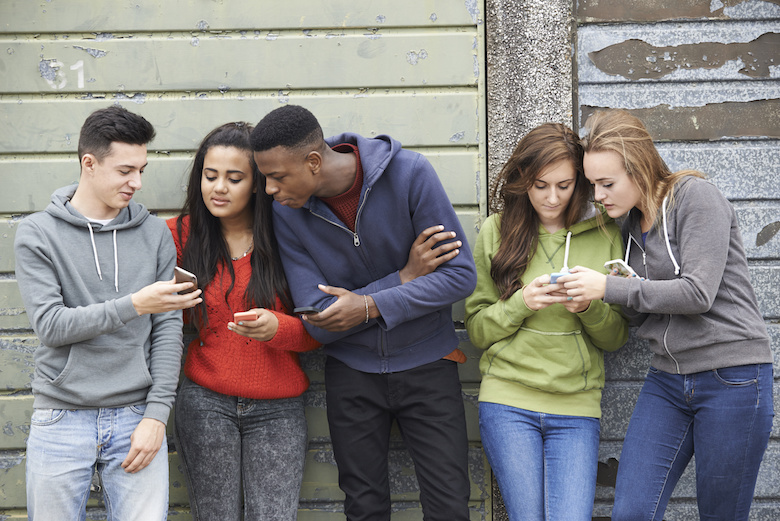 Because their data changes hands so frequently, some cyber criminals have identified foster youth as easy targets and deduced ways to access their data—seizing upon their vulnerability to gain access to critical information such as birthdates, last-known addresses and social security numbers, allowing them to open lines of credit under the guise of a foster youth’s stolen identity. As Shay points out, when it comes to foster youth, “no one has a vested interest in their identity.” Furthermore, identity theft tends to happen in the background, and it’s only when individuals try to apply for credit that they learn their identities have been stolen and their credit destroyed. This presents foster youth with a dual problem—they must first learn their credit has been compromised and then take steps to restore it. Symantec’s FAST program was developed to address these issues by bringing the company’s core business capabilities into alignment with the opportunity to help create a safer future for foster youth. FAST is a pilot program targeted to support foster youth between the ages of 16 and 21 in four cities: San Jose and San Diego in California and Phoenix and Tempe, Arizona. Shay says these locations were selected for the pilot as the company has a local presence in these cities. Symantec is in the education phase of the program at the moment. This includes hosting in-person trainings, workshops and webinars and offering free online resources and toolkits to change behaviors that put foster youth at risk of identity theft. “The first step of the program is awareness, which is where our training and workshops come into play,” Shay says. Starting primarily in Tempe, the program has so far trained 250 people spanning across all stakeholder groups: foster youth, foster families and service providers. In addition, Symantec has trained 70 employees who will be both educators and, soon, mentors for foster youth. The mentoring program will begin in April. As well as working with youths, employee mentors will act as advocates for the program, which will include working with public officials with the aim of building stronger policies to protect the security of foster children. Notably, Symantec was invited to the nation’s capital to launch FAST earlier this year with members of Congress, including the Congressional Caucus on Foster Youth. The community nonprofits slated to complete the training bring different competencies to the table. Symantec chose these partners based on three outreach models that reflect their interaction with foster kids and teens. The first model involves organizations that work directly with foster youth. The Bill Wilson Center, for example, provides housing, education, counseling and advocacy services to more than 6,300 children, young adults and families in Arizona. Promises2Kids works to support California children who have been removed from their homes due to abuse and neglect. The second model involves organizations that work with adults who interact with foster youth. Aid to Adoption of Special Kids (AASK) recruits, trains and supports adults serving as mentors, as well as families who are building relationships with children through adoption and foster care. The third model focuses on research and data and as of now includes only one partner organization. ITRC (Identity Theft Resource Center) supports victims of identity theft in resolving their cases and works to broaden public education and awareness in the understanding of identity theft, data breaches, cyber security, fraud and privacy issues. Shay tells us that Symantec decided on these nonprofits in part because the company has partnered successfully with them before. Additionally, since the partnerships are based on three different models, the company will be able to learn a lot from each of them, Shay says. And since each partner operates near Symantec offices, employees can engage with both the organizations and the youth, person-to-person. The tools available under FAST will include easy-to-use security software to help foster youth keep their information safe. Norton Solutions will be distributed through another Symantec partner, TechSoup. Symantec will also offer free restorative LifeLock services to foster youth whose identities have been stolen, to help them get back on track as quickly as possible. This aspect of the program has not yet launched. The program is sufficiently new that Symantec hasn’t been able to measure its effectiveness statistically, but the company is already able to gauge how FAST is being received by the target groups. Perhaps unsurprisingly, given the scope of the problem within this segment of the population, many of the youths involved know someone whose identity was stolen, so it’s not an abstract subject for many of them. That said, the foster youth were often unaware that, as a group, they were particularly at risk, Shay tells us. Importantly, a key purpose of the program is to offer ways for foster youth to be empowered to take ownership of their identities, and so far, Symantec has seen a solid response to this goal. That’s a good sign, because according to Symantec, nationwide, there is an opportunity to educate at least 76,000 foster youth aged 16 and older on ways to mitigate identity theft and credit fraud while building a strong credit history.